A group of top female music industry executives from the likes of Universal Music Group, Atlantic and Epic have shared a joint letter, condemning the Grammys. The letter was addressed to The Recording Academy, with the executives calling the organization “woefully out of touch with today’s music, the music business, and even more significantly, society,” saying the Academy needs to be more inclusive and transparent. The New York Times obtained a copy of the letter, and they explain that it was signed by Michele Anthony, an executive vice president at the Universal Music Group; Jody Gerson, the chief executive of Universal’s publishing arm; Julie Greenwald, the co-chairman of Atlantic Records; Sylvia Rhone, the president of Epic Records; Julie Swidler, the general counsel of Sony Music; and Desiree Perez, the chief operating officer of Roc Nation. It may seem surprising, but they didn't actually call for Recording Academy president Neil Portnow's resignation. Instead, they think it's part of a “much larger issue” that the Academy needs to address. “Neil Portnow’s comments are not a reflection of being ‘inarticulate’ in a single interview. They are, unfortunately, emblematic of a much larger issue with the Naras organization as a whole on the broader set of inclusion issues across all demographics,” the women wrote, The New York Times reports. And really, it's clear the Grammys are in need of a change. #GrammysSoMale was a major topic of discussion, and for an obvious reason. All the Album Of The Year nominees were invited to perform solo during the awards show, but Lorde was not asked to perform her own music. And the only award a woman accepted during the live broadcast was Best New Artist winner Alessia Cara. When asked about that, Portnow declared women need to “step up” because he “thinks they would be welcome” in the industry on the executive level. “It has to begin with… women who have the creativity in their hearts and souls, who want to be musicians, who want to be engineers, producers, and want to be part of the industry on the executive level… [They need] to step up because I think they would be welcome,” he says. He continues, saying: “Our industry must recognize that women who dream of careers in music face barriers that men have never faced. We must actively work to eliminate these barriers and encourage women to live their dreams and express their passion and creativity through music. We must welcome, mentor, and empower them. Our community will be richer for it. 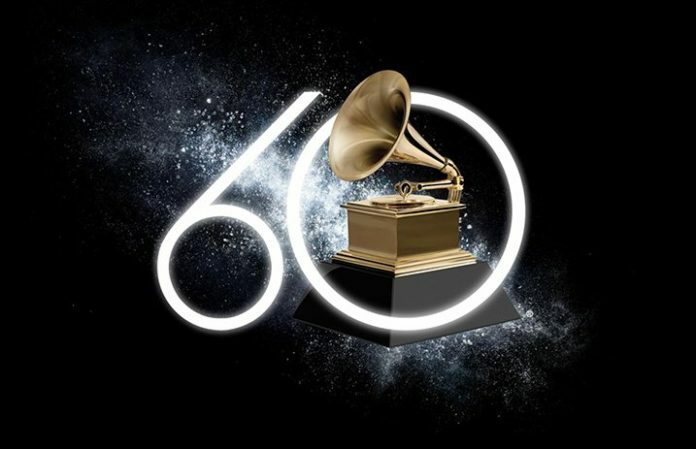 In a new study published by USC Annenberg, they found that out of the 899 individuals nominated for Grammy Awards between 2013 and 2018, 90.7 percent were male and only 9.3 percent were female. Clearly, there needs to be some change. It’s 2018—we can do better.